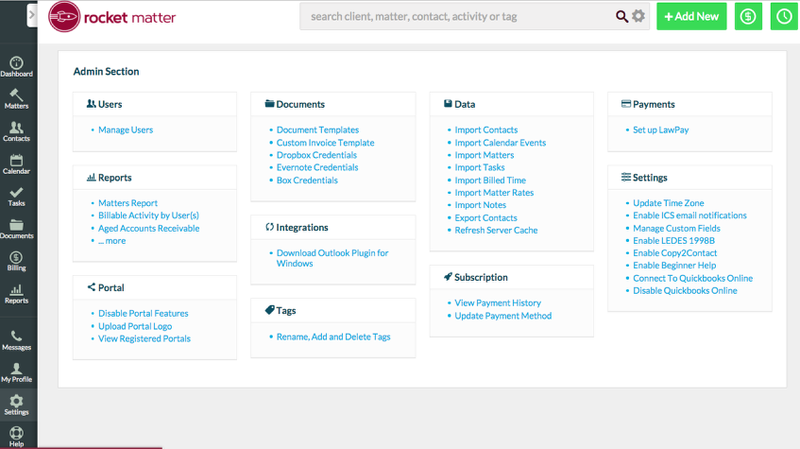 Rocket Matter Knowledge Base Invoice TemplatesInvoice Template: How do I choose one of Rocket Matter's 6 pre-formatted Invoice Templates? 1. 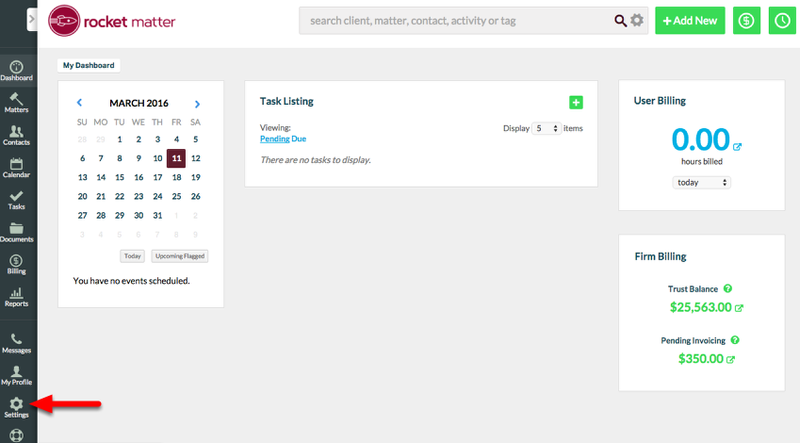 Click "Settings" to navigate to your Admin section. 4. Click on your preferred template. Zoom: 4. Click on your preferred template. 5. Click "Set as Default" to use your template 'as-is'. 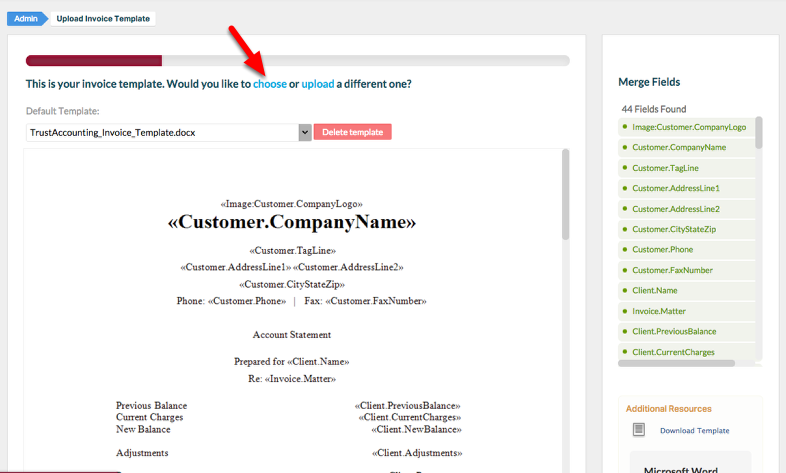 Click "Download" to download your template for modification. How do I add my Firm's logo to my Invoice Template? 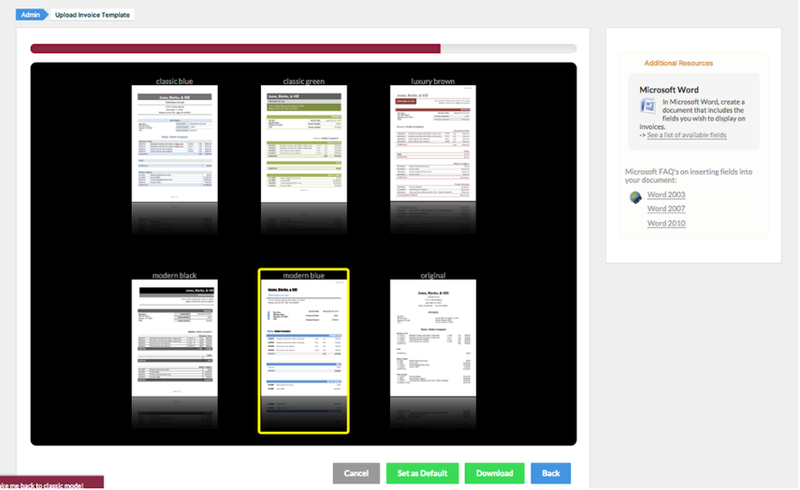 Prev: Invoice Template: How to edit and upload Invoice Templates. 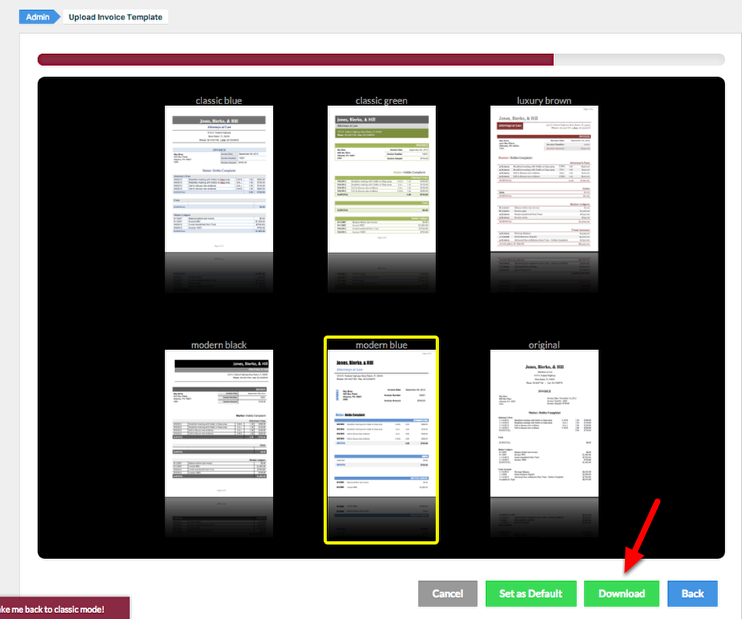 Next: Invoice Templates: How do I change my default Invoice Template?